Wintley Phipps was born in Trinidad, West Indies and raised in Montreal, Quebec, Canada. He attended Kingsway College, a Christian Academy; Oakwood University in Huntsville, Alabama where he received a Bachelors of Arts Degree in Theology; and earned a Masters of Divinity Degree from Andrews University in Berrien Springs, Michigan. Mr. Phipps holds an honorary degree of Doctor of Humane Letters from Waynesburg University; an honorary Doctor of Laws degree from Oakwood University; and an honorary degree of Doctor of Education from Wheelock College. He served as senior pastor to several churches in the Washington, D.C. metropolitan area and currently serves as the senior pastor of the Palm Bay Seventh-day Adventist Church in Florida. 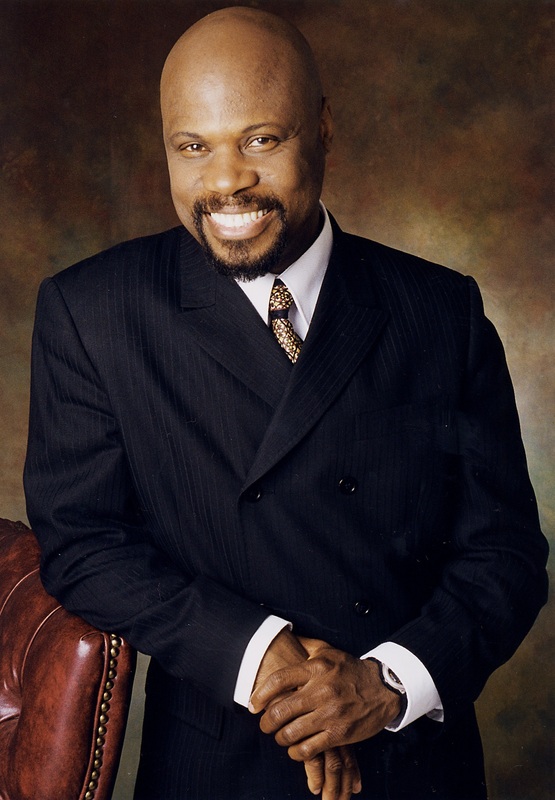 Wintley Phipps is a world-renowned vocal artist, education activist, motivational speaker, author, and pastor. His performance of Amazing Grace has received over nine million viewers making him the most watched Gospel Music artist on YouTube. For more than twenty-eight years, he has traveled the world delivering messages of hope, advocacy, and equality to thousands. He is the founder and CEO of the U.S. Dream Academy, Inc, a non-profit organization that provides mentoring and tutoring to children of incarcerated parents and children falling behind in school. Mr. Phipps currently serves on the Miss America’s Outstanding Teen Board of Directors. He has also brought his considerable skills to a number of organizations where he served formerly including the Scholarship America Board of Trustees; the Three Angels Broadcasting Network Board of Directors; the Council for Religious Freedom; and Prison Fellowship Ministries. For his work at the U.S. Dream Academy Mr. Phipps has received numerous service awards, among them: The Excellence in Mentoring for Program Leadership Award from MENTOR/National Mentoring Partnership; the Oprah Winfrey Angel Network Use Your Life Award; Philanthropist of the Year Award from The National Center for Black Philanthropy, Inc.,and the Distinguished Service Award from Loma Linda University. In recognition of his positive global impact through speaking, The National Speakers Association awarded Wintley the prestigious Master of Influence Award. Mr. Phipps has been the featured speaker and performer for many notable occasions around the world. In January 2009 and 2013, Mr. Phipps was privileged to serve as the guest soloist for the Presidential Inaugural Prayer Service of President Barack Obama at the Washington National Cathedral. On January 2, 2007, by special request of Ms. Oprah Winfrey, Mr. Phipps delivered the inspirational address and prayer for the opening of the Oprah Winfrey Leadership Academy for Girls in South Africa. Hosted by Congress, Wintley has sung for Presidents Ronald Reagan, George H.W. Bush, William Jefferson Clinton, and George W. Bush at annual National Presidential Prayer Breakfast events and other distinguished celebrations. He met President Nelson Mandela of South Africa. Mr. Phipps is married to the lovely Linda Diane Galloway Phipps (an RN) and they have been blessed with three fine sons: Wintley Augustus, II, Winston Adriel, and Wade Alexander.